Manifestos romanticize the revolution. And forget the day after. This publication presents aspects of a media science at the University of the Arts Bremen by students, teachers and researchers. The performances and figurations of the texts are capable of demonstrating and presenting relationships between the arts and theory for a discussion. They are brief pauses in a society that has been described as fluid now for many years. 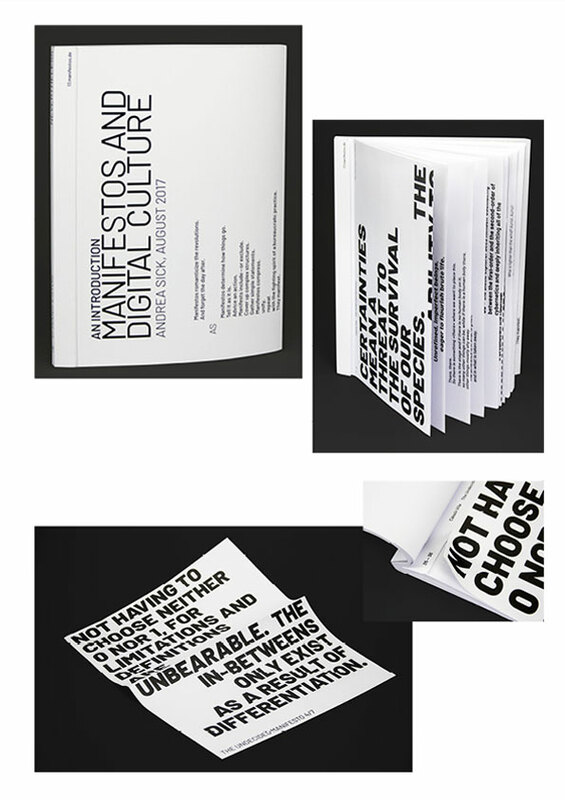 The published manifestos play out the subjective in a conscious and sometimes carnivalesque way.